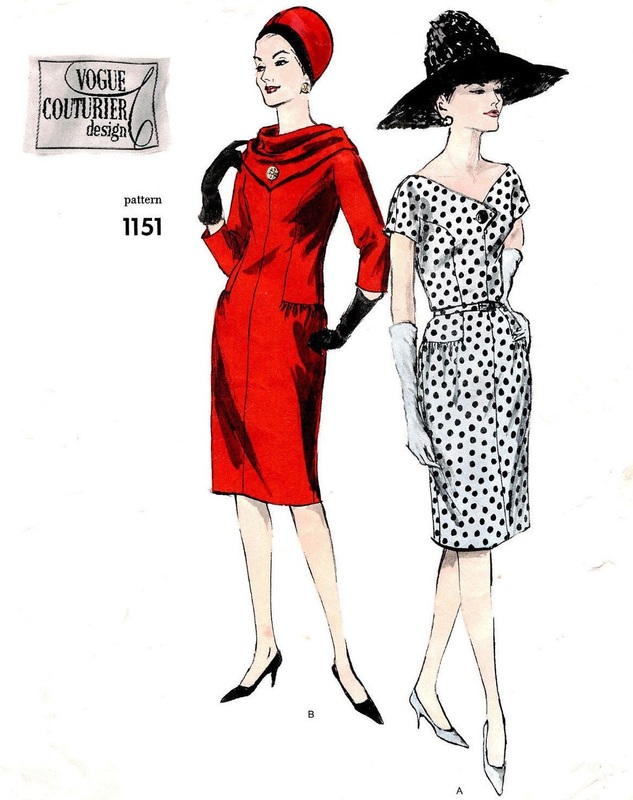 Vogue Couturier Design 1151; ca. 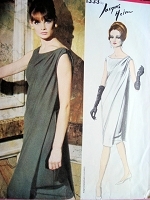 1962; One-Piece Dress and Scarf. 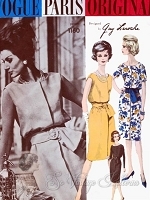 Slim skirt joins elongated bodice at side front and across back. 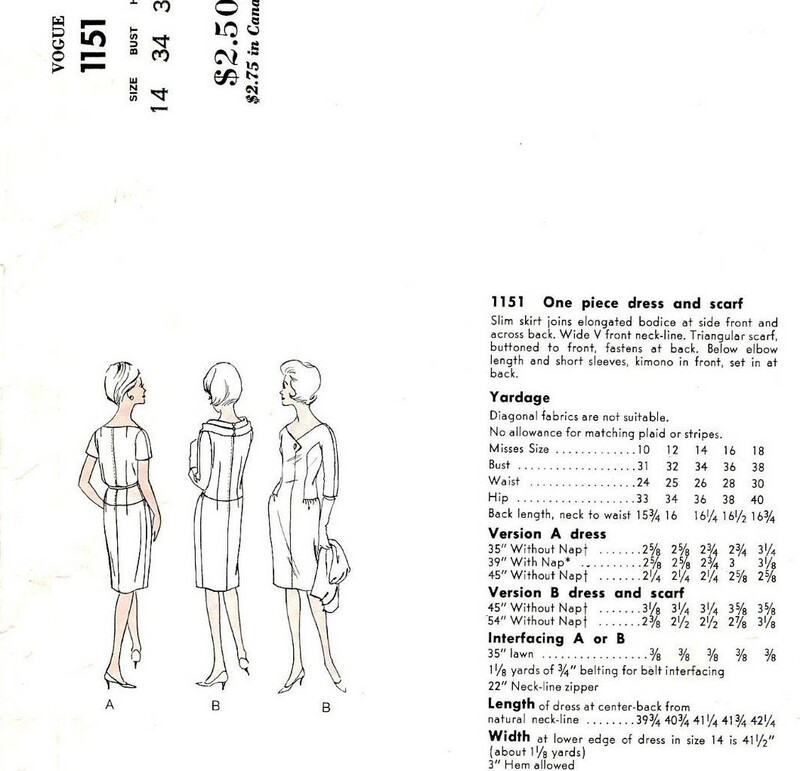 Wide V front neck-line. 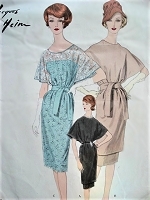 Triangular scarf, buttoned to front, fastens at back Below elbow length and short sleeves, kimono in front, set in at back.